Dr. Gregory Lee Eads earned his medical degree from West Virginia University School of Medicine. He then completed his internship at the University of Florida in Orlando and residency training in obstetrics and gynecology at the University of South Florida in Tampa, where he served as administrative chief resident. 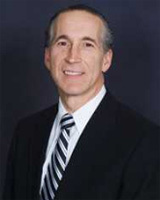 Board certified in obstetrics and gynecology, Dr. Eads has been in practice since 1983. His medical specialties are obstetrics and gynecology, urogynecology and female pelvic medicine and reconstructive surgery. His clinical interests include endometriosis, pelvic pain, minimally invasive surgery, female incontinence, pelvic prolapse and da Vinci® robotic surgery. He continues to adopt the newest surgical techniques and has performed over 3000 laparoscopic procedures. He treats patients from twelve years and older. A master proctor for da Vinci, Dr. Eads teaches this advanced laparoscopic technique to physicians throughout Texas, New Mexico, Louisiana, Georgia and Florida. He is also credentialed as a menopause practitioner by the North American Menopause Society (NAMS). Dr. Eads is active in local, regional and national medical societies. He has been named as a Top Obstetrician and Gynecologist by The Consumer’s Research Council of America. Residents of The Woodlands, Dr. Eads and his wife have a son and daughter practicing in the medical field as well.